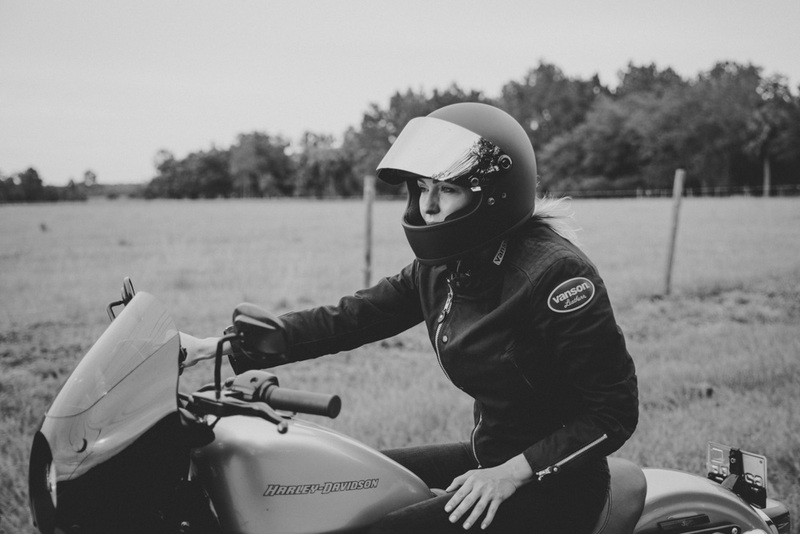 Leticia is no stranger to In Venus Veritas: when I featured her story earlier this year, she was just building momentum in her return to motorcycling after a long hiatus. Since, Cline has reinvented herself to include her passion for motorcycling and community making. She's collaborated, endorsed, and traveled the country to connect with like minds in motorcycling and especially women in the scene. She is currently supporting partner-in-life Jason Paul Michaels establish The Standard Motorcycle Co., planning a road trip with Kristen Lassen to bring attention to some lost roads and communities across the U.S. and worked with major motorcycling manufacturers and publications to help road test and launch new motorcycles, all the while aiming to raise the profile of women in the scene. Along the way, Leticia has elevated people along with her, sharing her self-made spotlight with many women and groups she meets or finds in her travels. And with that somehow found the time to compile them all into a list you can find on her website, compiled based on location so you can find ladies near you. What was pretty remarkable (if creating the list wasn't remarkable enough), the response she received on announcing this list was utterly extraordinary. Women from all corners flooded her social media accounts asking to be included! Proving testament that women who ride are all out there, somewhere and just need the right environment to come out and say hi! Much thanks to Leticia for being a positive role model for many!